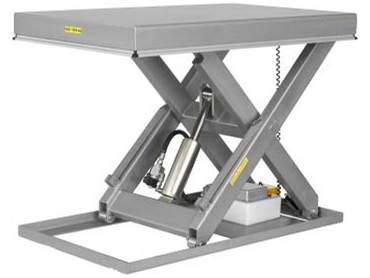 Stainless steel scissor lift tables for use in food, pharmaceutical, clean room and general manufacturing applications are now available from Sitecraft . These Scissor Lift tables are available in capacities ranging from 600kg up to 2000kg. Table sizes up to 1500mm x 1300mm are available.